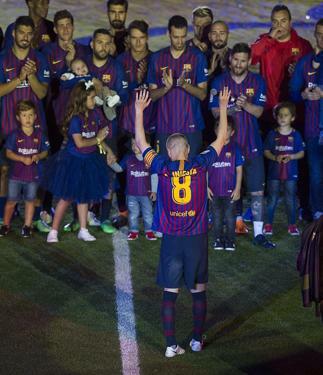 Iniesta bids farewell as Barça end the season with a 1-0 victory over Real Sociedad. 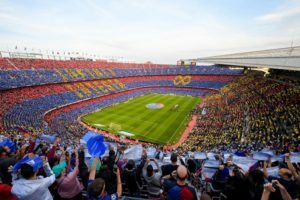 Andres Iniesta played his final FC Barcelona match with a 1-0 victory over Real Sociedad with the club celebrating capturing the La Liga trophy and Iniesta’s career. 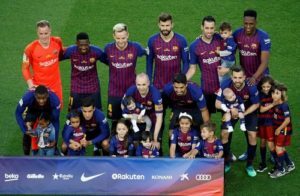 FC Barcelona played their final match of the season with Messi on the bench. 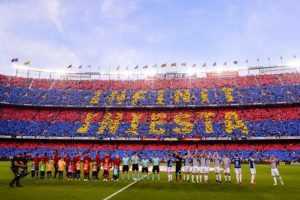 However, today was all about Andrés Iniesta after he announced that he would be leaving the club that he has been a part of for 22 years. After playing to a scoreless first half, Barcelona opened the scoring 12 minutes after the restart. Coutinho scored what would turn out to be the only goal of the game in the 57th minute. After picking up the ball in the middle of the pitch, the winter signing slalomed between La Real players before striking a long range effort from 20 yards into the back of the net. A beautiful strike and one can hope many more to come and he was replaced by Messi in the 66th minute. 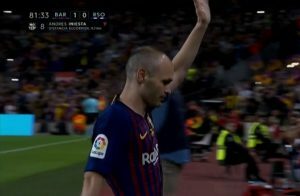 In the 81st minute, it was time to bid farewell as Iniesta walked off the Camp Nou to be replaced by Alcácer. 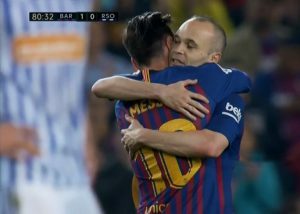 Prior to walking off, Iniesta went to Messi to give him the captain’s armband. 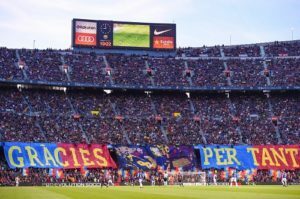 Both players embraced and Iniesta then hugged each Barcelona player while receiving a rousing reception from the Blaugrana faithful at the Camp Nou, before taking a seat on the team bench with tears in his eyes . The fans though continued to sing his name for the remainder of the match. 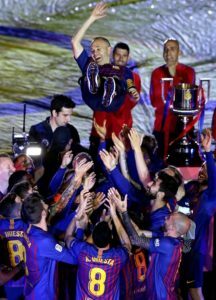 After the final whistle blew, the club were presented with the league trophy in front of their fans and Captain Iniesta hoisted the trophy in front of his fans for the final time. The team then celebrated his career and this season’s success on the pitch. 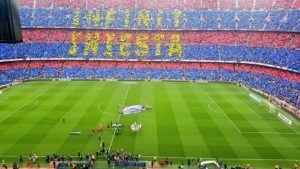 Iniesta leaves the club as the most decorated Spanish player in history with 35 titles. 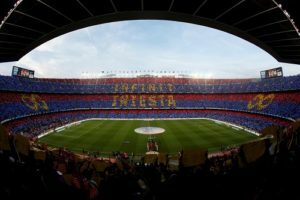 Previous PostUnbeaten Run Ends after 5-4 loss to Levante. Next PostDon Andrés, you will be missed.